A few weeks back on a beautiful Saturday night in the Bay Area, I was one of the lucky individuals that knew that STS9 was playing a special, intimate Axe the Cables show down in Saratoga at the Mountain Winery. I was lucky, because what I witnessed was absolutely spectacular and one of the best STS9 show experiences I’ve ever had. The chance to see them stripped down in an environment where #raging seemed wholly out of place, we got to focus in on the music that night and witnessed something really special on a little mountain in the heart of the Silicon Valley. 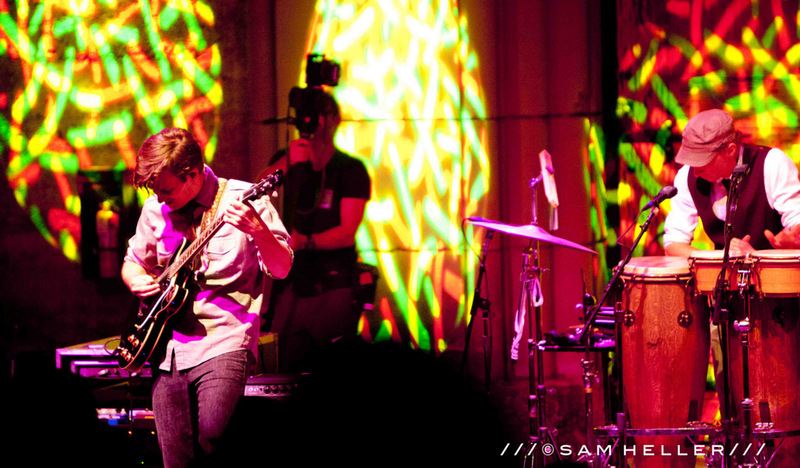 Read on for the setlist from the show and some amazing shots from our good buddy Sam Heller. I threw in a few of my cell phone Instagram style shots as well, but Sam is the pro obviously. Also head over to the STS9 live download store to pick up the copy of Axe the Winery; it really was an amazing show and I really hope, as they alluded to, that they’ll be back again to do the same thing in 2013. I’ll be there.